Slow cookers, swimsuits, pimple pads, and more stuff that is, in fact, from Walmart. 1. A Fujifilm Instax Mini so you have adorable, tangible photographs with the click of a button. 2. A lunar desk lamp you'll be over the moon for. 3. A high-waisted bikini for fans of spin art. 4. A peacock-colored cabinet that's a quirky statement piece you'll love showing off. 5. Rainbow, nesting food storage containers so you can finally get excited about having leftovers. 6. A breezy maxi dress for lazy, casual days. Pair it with a pair of sneakers for the ultimate lazy day outfit. Check out our top picks for the best everyday sneakers on BuzzFeed Reviews. 7. A double hanging planter so all your air plants can get plenty of sun by the window. A reviewer notes that the bowls are grey, not white. 8. A velvet top you'll find yourself petting all day long. 9. A string of flamingo lights for tropical vibes at a small portion of the cost of a plane ticket. 10. 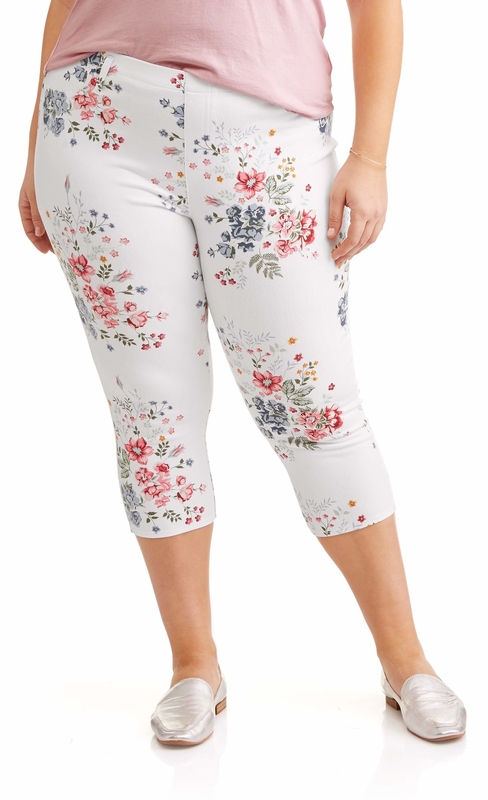 A pair of patterned capri jeggings you'll ~spring~ for almost every day this season. 11. A ceramic, nonstick cookie pan because your bakeware should be as cheerful as the act of baking itself. 12. A pack of colorful cutting boards that will prevent cross-contamination and just look really good in your cabinet. Need something throw your cut ingredients in? Check out our top picks for the best cast iron skillet on BuzzFeed Reviews. 13. A green, embellished one-piece you'll feel like a legit sea goddess in. 14. A sunny metal bench your personal garden needs so everyone has somewhere to sit while admiring your green thumb. 15. A personalized laundry "basket" that's gonna be a total score with your kid. The name can have up to nine letters. 16. A pair of skinny ankle jeans perfect for celebrating the new warm weather in. 17. A patterned slow cooker because chili tastes better when it's made in a cute appliance. Upgrade another meal prep essential. Check out our top picks for the best blender on BuzzFeed Reviews. 18. A crochet tunic that's sure to become a fashion favorite. 19. A surprisingly adorable folding chair for people who want even their backup seating to be stylish. 20. An off-the-shoulder blouse you can easily claim came from a high-end boutique. 21. A midcentury end table that will ~end~ your search for the finishing touch in your bedroom. 22. A lightweight kimono to rock on days when you're not sure what the spring weather is going to give you. 23. Cosrx's One Step Pimple Clear Pad — it uses Betain salicylate to unclog pores and dissolve excess oil so you can kiss your blackheads buh-bye. First things first, check out our top picks for the best makeup removers on BuzzFeed Reviews. 24. A gold and glass bar cart for taking your entertaining to a whole new level.